The Supreme Court today made it clear that it will not spare any state which is not implementing its earlier orders in dealing with acid attacks on women and not providing timely relief and compensation. A bench headed by justice M Y Eqbal slammed four states Kerala, Karnataka, Madhya Pradesh and Mizoram for not filing affidavits in courts explaining the steps they took in this regard despite repeated directions and accused them of “willful defiance of apex court orders”. The court issued show cause notices to the chief secretaries of all these four states asking them to explain why contempt proceedings shall not be issued against them. They have been asked to file their responses by September 23. When the counsel of the states requested for a “last chance” to file the affidavits and explained there was no willful violation of court orders, justice Eqbal responded angrily “look. You are an officer of the court. You should not oppose when we are trying to protect the prestige of the country’s highest court”. The court passed the order on a PIL filed by a Bihar-based NGO Parivartan Kendra seeking courts direction to government to frame policy for rehabilitation of the victims and to bring them in national mainstream. Earlier, the apex court had set a deadline of March 31 this year for state governments to frame rules for regulating sale of acid and other corrosive substances to prevent their misuse. In a bid to curb acid attacks on women, it had directed that this crime be made a non-bailable offence and had enhanced to Rs three lakh the compensation amount for the victims. The court had said that a photo identity card containing residential address issued by authorities concerned would be required for purchasing such substances which in any case cannot be sold to a person who is below 18 years. It had also said that out of the compensation amount of Rs three lakh, Rs one lakh will be paid within 15 days of bringing to the notice of the state government the occurrence of the attack. In April the court had said private hospitals should also provide free treatment to acid attack victims which included reconstructive steps like plastic surgery if necessary. “We clarify that by full medical assistance we meant that not only just government hospitals but even private hospitals should provide free treatment to the victims. They should not show reluctance. They cannot in any way refuse treatment and this treatment also includes from first aid till the reconstructive surgery in cases where it is required”, the special bench hearing social justice matters in the apex court comprising of justice Madan B Lokur and justice U U Lalit had said. The bench was then hearing a PIL filed in 2006 by Delhi- based acid attack victim Laxmi. The direction had come Aparna Bhat, the lawyer for the petitioner pointed out to the court that currently most private hospitals refuse to admit victims of medico-legal cases, forcing the police and also their family to go in search of a government hospital. This wasted precious time because of which condition of victims worsened and many even died. 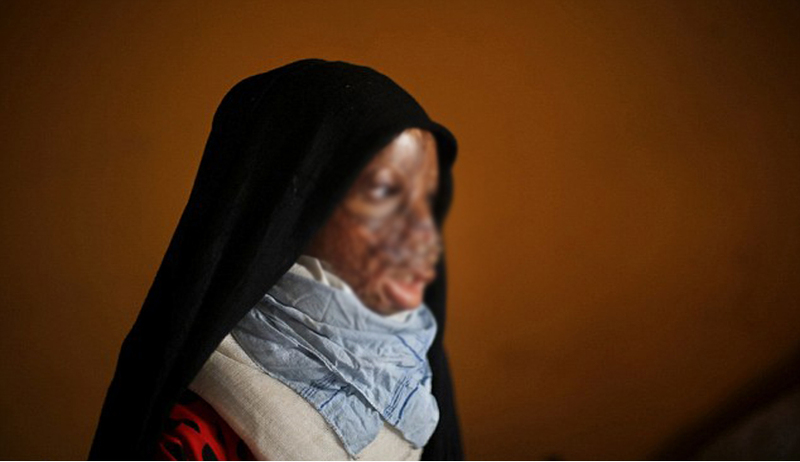 The court also observed that governments should provide Rs three lakh financial relief to acid attack victims and noted that it was found that many of the states were not providing the enhanced amount to the victims. Read Live Law Covereage on acid attack case here.